The LeMarr Group has been family owned and operated for over 30 years. 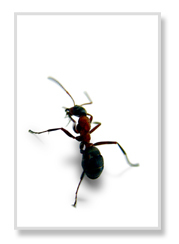 We are experienced, fully insured, and licensed pest control operators in Virginia. We have many years of special training and experience, and the right tools to assure protection against destructive rodents, insects, and other pests. We are committed to continuing education, advanced technology, and researching new products and techniques. Most importantly, we are family and budget-friendly. We recognize there are multiple solutions to control a particular kind of pest. We pride ourselves in working closely with you to carefully explain and weigh the options of each treatment that suits your needs. We are committed to identifying long-lasting and affordable solutions for your pest control problems. We are members of the National Pest Control Association, Virginia Pest Control Association, and the Dulles Area Association of Realtors. We are also certified professionals of Termidor. The LeMarr Group specializes in termites, rodents and general pest control (ants, spiders, roaches, flying insects, and fleas). We offer yard perimeter spraying, animal trapping services, and wood destroying insect inspections, treatments, and pre-treatments (during and after final construction). Proper professional evaluation of your site yields a strategic plan to control pests indefinitely. The plan may include intense preliminary treatment, followed by regular ongoing service customized for the property. Much of our business is from word-of-mouth referrals given by satisfied customers, which means a great deal to us. We pride ourselves in providing quality work, personalized service and, again, by our knowledge and experience—there is simply no substitute for either one. Our dedication to you and our wish to see you safe and comfortable in your environment are unparalleled. Call us today to find out for yourself why The LeMarr Group is your pest control company!